Gas company haunts former landlords long after they sell building. Jim Dabakis knows how he looks after spending $9,000 for legal costs to challenge a $690 gas bill from Questar Gas, but the wealthy art dealer and businessman says he’s sticking up for fairness and consumers. “We’re at $9,000 in legal bills now because I’m crazy … [even] my lawyer says ‘stop this, it’s crazy.’” But he hasn’t stopped his fight against the gas company that has charged him and others for gas they didn’t use on properties they hadn’t owned in years. He’s taken his fight to the Public Service Commission, where he hopes to have the debt canceled and Questar policies changed. Julie Orchard, PSC spokeswoman, says the dispute will be precedent setting and the decision from the judge is expected soon. Dabakis knows of only one other person in his same predicament. Trena Rouche, of Plain City, received a $117 Questar bill in 2009 for gas used at an Ogden home she hadn’t owned in 16 years. Way back in 1990, she recalls, she signed a form that allowed her, as landlord, to be billed for gas service used at the home during interim periods between tenants. In 1993, Rouche sold the home. “I just assumed that when I sold the home, the Landlord Agreement would become null and void,” she says. But Questar says Landlord Agreements must be canceled by certified mail and are still enforceable even after the property has been sold. So, in 2009, when gas was used at the home and there wasn’t a tenant or owner to bill for it, Rouche received the bill from Questar. She complained, but in the end, paid the bill, thinking it would be too much time and effort to fight it. Dabakis wonders how many others have experienced the same thing. According to records from Questar, there are more than 42,695 Questar customers who have signed Landlord Agreements. 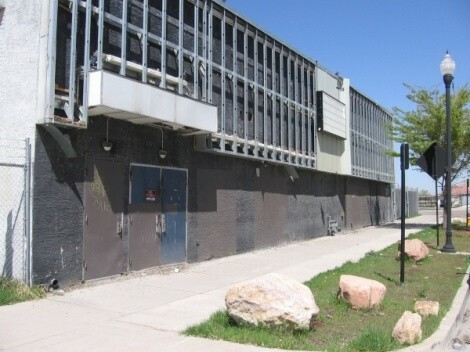 In Dabakis’ case, however, the agreement was signed for a building that only had one tenant: Club Axis, which Dabakis owned with his business and life partner, Steven Justesen, from 1997 to 2002. They also owned the structure that housed the club at 108 S. 500 West in Salt Lake City. On paper, one business the pair controlled owned the building and acted as landlord, while their other business owned the club and was the tenant. Records show that on March 20, 1997, Justesen signed a Landlord Agreement. Dabakis agrees that they did have the agreement, even though he doesn’t know why he and Justesen would have signed such a form, since they never rented the building to any other tenants. In 2002, they closed Axis and sold the building. Questar doesn’t dispute that service-gas termination was requested and that on July 2 an internal service shut-off order was issued. They also don’t dispute that the former Axis owners received a refund of their deposit from Questar. But there’s a catch, according to Questar. The tenant company, Snap Productions, received its deposit back, but the landlord company, Tomahawk Properties, didn’t cancel its agreement by certified mail or in person, as required. Justesen does have a copy of a handwritten letter requesting the cancellation of “all agreements” that he says he dropped off at Questar in 2002—in person. Questar says they have no record of that note, however, and there’s no proof it was actually dropped off. Nevertheless, nothing was amiss until April 2008, when the building went vacant and gas service was not terminated by the most recent owner or tenant, so Questar started charging Justesen. The gas ran all summer without a tenant until Aug. 2, when a fire in the building triggered Questar to shut off the gas. Shortly thereafter, Questar sent a bill to Justesen and Dabakis for $690. It’s just basic customer service, Dabakis argues, to tell customers about special procedures to cancel agreements. It’s ridiculous, he says, to charge former property owners for gas they clearly did not use. If Questar simply forgave the debts, Shepherd says, that would be like charging all other customers for Dabakis’ and Rouche’s mistakes.